Yes, I did. Originally, I started my career as a lawyer doing entertainment litigation. I hated it. I hated being on that side of the law. People are upset, bills are expensive, hours are long, and everyone is blaming everyone. I am too sensitive to have the energy for that. So I had to let it go. I knew I wanted to help people and prevent them from having costly disasters and getting to that point. Being on the prevention side is not only empowering, it’s also incredibly inspiring. Watching new business be created that help the world or helping companies expand their reach is a dream. I love it so much. I think that it really depends on what someone’s idea of having it all really is. I do believe that you can; however, it may look different from what you thought that it would. I think that if we expand our idea of what having it all is, I believe we can have whatever we desire. I have had some challenges around really making time for the relationships in my life. It took me awhile to really get my OWN self-care in place, and once I did, I realized that a huge part of that is taking care of my relationships. I am still learning how to manage my time to give my all in all areas including what’s really important, your friends, and family, etc. Morning and evening routines DEFINITELY. As an entrepreneur, we often put ourselves at the end of the line. However, once I made the decision to take care of my needs first, my entire life changed. I felt more connected to myself, my work, and everything in my life. It should be innate but when you’re a woman on a mission, you have to be reminded of what all this is for, living your best life while also making a difference in the world. I don’t open my email on the weekends and I removed social media apps from my phone. I also cut my phone off during the day, except for days I have appointments. The fewer distractions the better. I also LOVE the Gqueues app. It’s a Google-based task manager. So far it’s been great for keeping me organized! I would go to Salsa dance classes every day except for a few times a week! I love to dance, and I wish I had time to do it every day. I wish I knew my value. I ended up dating and being friends with people I would NEVER NEVER have in my life now. They weren’t nice. In fact they were more abusive. That I have truly made the difference and impact at the scale that I want to. I want to know it and feel it. Wow, there’s nothing at the moment; however, once I get a dog again, I definitely want to outsource dog walking. For sure. I love the work that I do. However, I would love to be Beyonce for at least one tour and see what it feels like to perform at that level and connect with millions of people. I’m so glad I am not an accountant. I appreciate them A LOT, but I could never do that work. The Alchemist by Paulo Coelho, Giovanni’s Room by James Baldwin, and #GIRLBOSS by Sophia Amoruso. Stand Out: How to Find Your Breakthrough Idea and Build a Following Around It by my dear friend Dorie Clark. Activity? Emailing. I have to shut it down during the day. Food? Almond milk ice cream (I can eat a whole pint in one sitting). Website? Pinterest and Instagram. I love looking at the beautiful photos, but I can easily get lost there. My gratitudes. I write them, feel them, then read them. Then I take a trip to SisterGoddess.com and post some encouragement. I think: that life is a journey. I wish: that everyone had enough to eat, drink, and shelter. “Our truest life is when we are in dreams awake.” —Thoreau. I am having it tattooed on me. Jo-Ná A. Williams, Esq. founded J.A. Williams Law P.C., The Artist Empowerment Firm, in 2011 to provide artists, entertainers, and this generation’s thought leaders with ways to successfully navigate their careers and provide assistance with business, entertainment, and intellectual property matters. She is dedicated to issues regarding the rights of artists and content creators because she believes they are a population highly vulnerable to exploitation without proper knowledge. 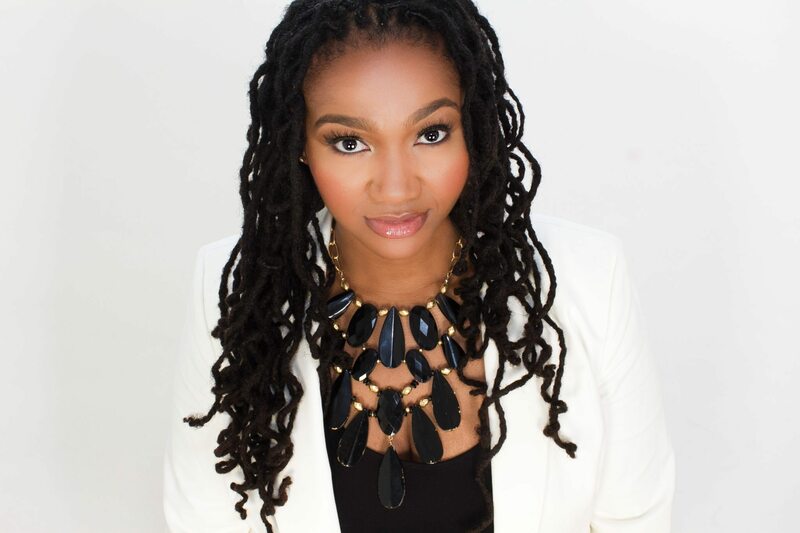 She founded Artist Empowerment Group in 2013 to advise artists on business, branding, and marketing. Some of her clients have written best-selling books, created award-winning blogs, been nominated for Grammys, listed in the Billboard Top 100, Amazon and iTunes Top Album Charts and received local and international acclaim. Jo-Ná served as legal clerk for Jekielek & Janis LLP, an entertainment law firm in New York, and Volunteer Lawyers for the Arts in Massachusetts where she worked on intellectual property and entertainment law matters for low-income artists. For five years she was the Special Markets Coordinator at John Hancock Wealth Management Company where she worked with attorneys on annuity, financial, and estate planning matters. She also served as the ghost-writer for the entertainment firm, Cowan, DeBaets, Sheppard, and Abraham LLP, writing legal commentary on the most recent developments in intellectual property and entertainment case law on the firm’s blog. Jo-Ná was one of the editors of the American Bar Association’s Annual Review of Intellectual Property Law Developments, 1st edition, and she has conducted webinars on legal business structures, trademark law, and artist branding for Volunteer Lawyers for the Arts in Massachusetts. She is licensed to practice law in New York. On a personal note, Jo-Ná is a yoga and meditation enthusiast, a vegetarian, and she loves a good bottle of red wine.